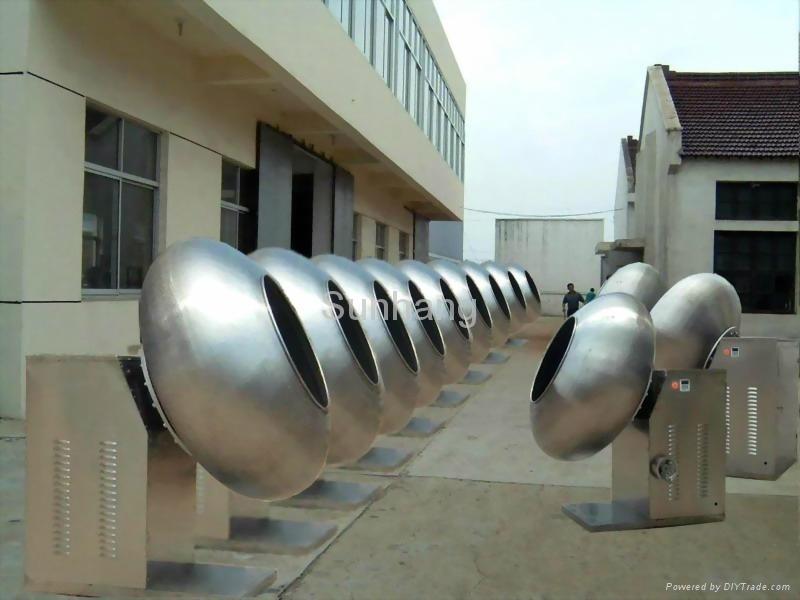 The machines use for average coating and polishing of formed pill in pharmaceutical industry. 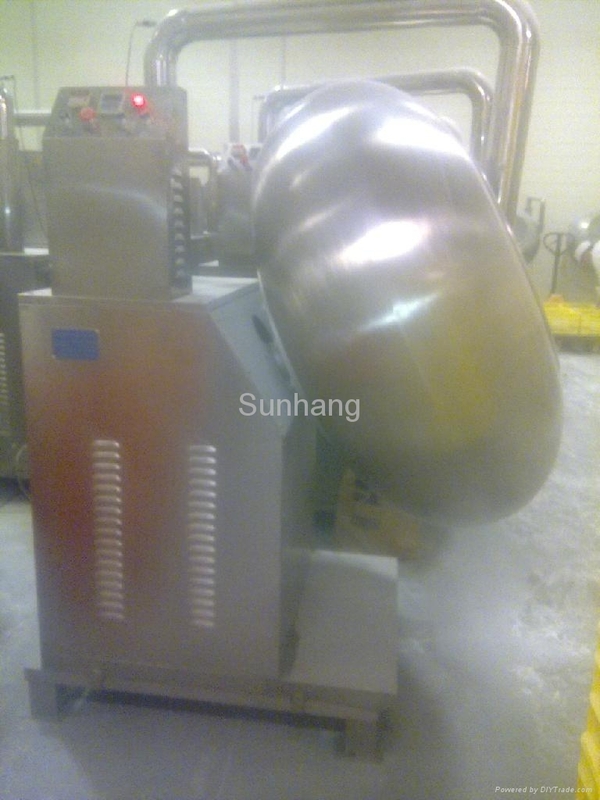 It can be also used for make pill or coating in foodstuff. Working Principle: Make the sugarcoating tablet roll and slide in the pan through the pan rotary clockwise. And then scrub and mill the sugarcoating tablet to make the core smear is even. 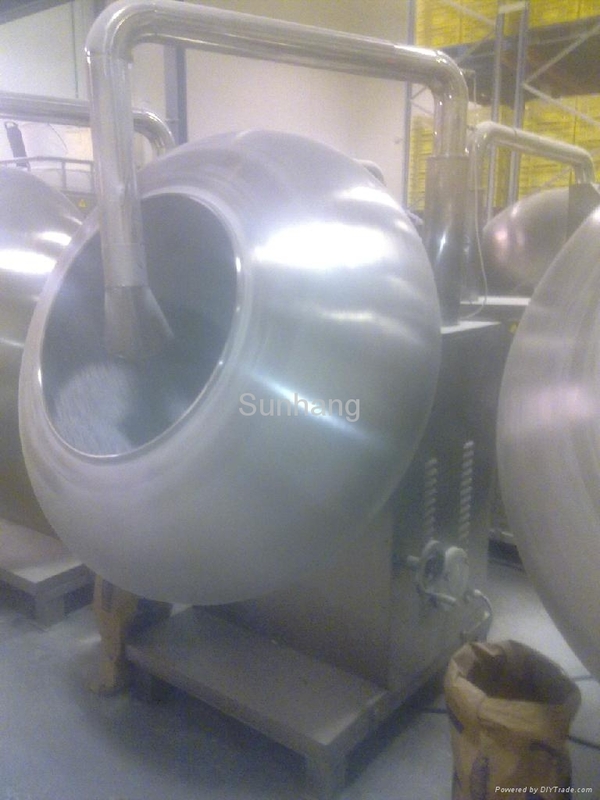 At the same time put into the hot wind to eliminate the water in the surface of tablet, and then get the qualified sugarcoating tablet. 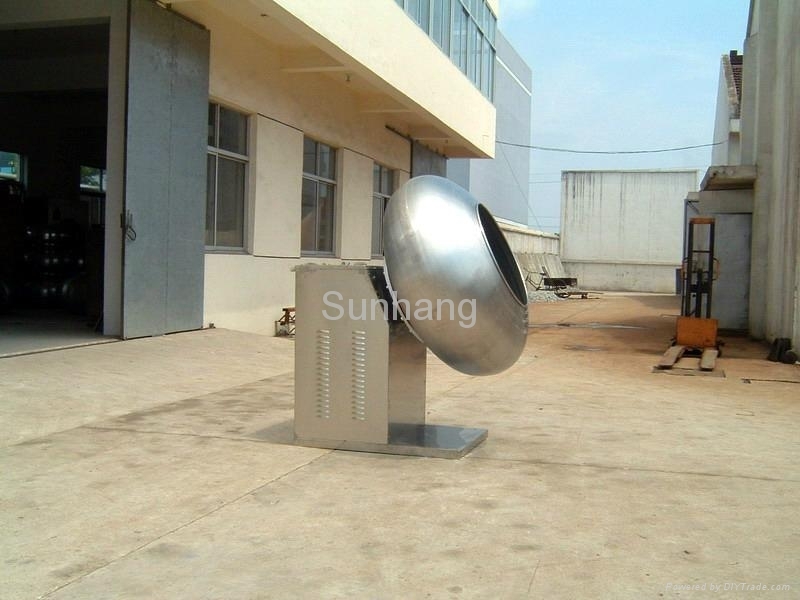 (The variable adjusting speed Coating Pan can be done by customer’s requirements).